Bryce and Amanda Chisholm started Qualitas Builders in 2010 to build high-quality, beautiful homes they are proud to put their name to. Bryce and Amanda are local to West Auckland, and build Auckland wide. They specialise in building new homes and larger residential renovations. Bryce has over twenty years experience in the building and construction industry, and is a Qualified Builder and Licensed Building Practitioner (LBP). He is involved in all aspects of the building process, including project management and engaging with sub-trades. Bryce’s experience, vision and guidance drive the Qualitas team to specialise in building superior homes. 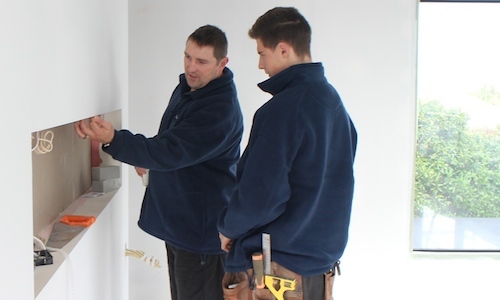 Having been given the opportunity to become an apprentice himself, Bryce actively seeks enthusiastic young people who want to learn the building trade, taking them under his wing and teaching them how to be excellent builders. The high calibre building practices of Qualitas Builders will ensure the qualified builders they turn out will be well sought after in the future. 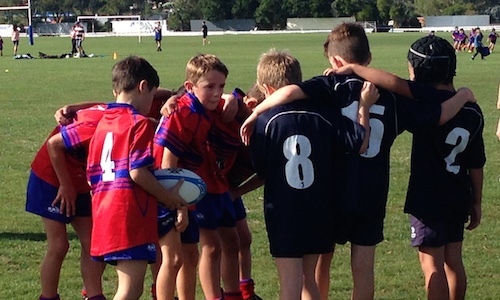 Bryce is involved in coaching their son Liam’s sports teams – cricket in the summer (SNLCC) and rugby through the winter months (Suburbs). One or other of them can often be found watching gymnastics or swimming lessons. Amanda has a long history in corporate business with a background in sales and marketing. Her attention to detail, commitment to excellent communication and focus on meeting client needs will ensure your experience with Qualitas Builders leaves you delighted. Amanda will liaise with you to ensure you’re kept informed every step of the way, with everything from comprehensive building proposals to weekly progress updates. Spending quality time with their two young children, Liam and Mackenzie, is extremely important to Bryce and Amanda. 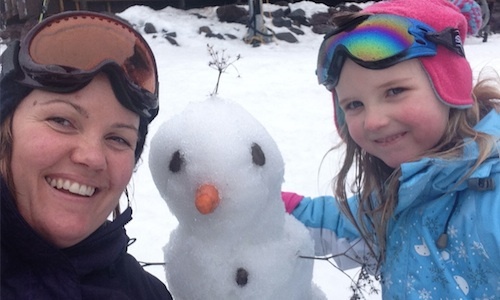 Raised themselves with a focus on experiencing the great outdoors, they actively encourage both children to be adventurous and to follow their enthusiasm for sports. 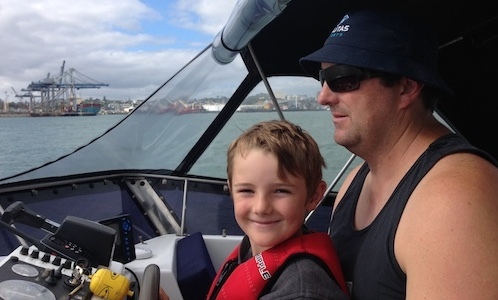 The family enjoys time on their boat in and around the Hauraki Gulf over summer. A favourite spot is Man O’War Bay in Waiheke, spending sunny afternoons ashore with a nice platter and sampling the local wines. Always in tow is Basil, their four-legged family member. 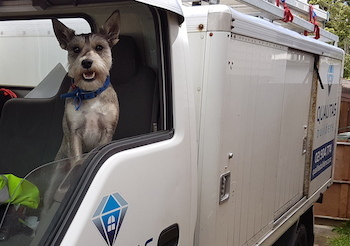 He is also a common passenger in the Qualitas Builders work vehicles and has been given the ‘official’ title of Site Supervisor!